#44. 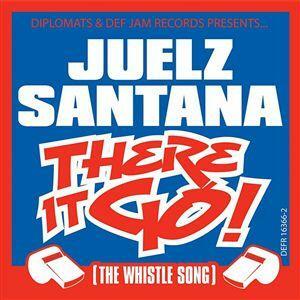 Juelz Santana "There It Go (The Whistle Song)"
The Dips have never been shy about making tracks to fit the contemporary musical landscape. So when everyone was jocking über-minimalistic "snap" beats, Juelz was happy to supply this stripped-down club banger—and it was one that joined Peter, Bjorn and John's "Young Folks" as hits utilizing a human whistle. Taking the Dips' malleability into account, we expect—no, demand—a Four Loko anthem.